So, believe it or not, we are now in Advent. Now, I’m not going to start getting all Christmassy on you…yet!…but I would like to share a challenge with you and invite some guest posts on this blog. I heard a lovely thought for the day on the radio this morning, about how Advent is traditionally the time of waiting, of starting to think and prepare for Christmas and of reflecting on the year that has been. 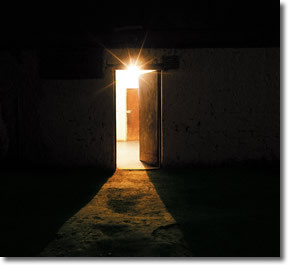 The speaker likened the openinng of each window on an Advent calendar to letting light in…whether that is the light of hope of better things to come, the light of love of spending time with those closest to us, or simply the light at the end of the tunnel to what, to many, may well have seemed like a tough year. What I would like to do during December is to share some guest posts on this blog about some of the great things that have happened in 2011, some of the learnings that you can share from your year and perhaps some hopes for 2012. They don’t have to be HR related, they can be about anything at all. And they don’t have to be melodramatic horrors…although equally, feel free if you want to share! 16 Responses to "2011: Highlights and Horrors"
Hi Alison – given our conversation today about me getting around to blogging I would love to do a guest blog in December. Let me know what I need to do…..and when. Hi Julia – that would be great! Once you’ve had time to think about the post and write it (in a Word document is fine) then just send it to me in an email and I’ll publish it. Very easy – just like blogging itself :). Great to chat earlier, thanks for being keen to contribute. Hi Jon – well you’d be most welcome and I’d love you to guest blog on here. Anything goes, so it’d be great to receive a post from you. Let me know if you need anything. Do you have an idea of what sort of word count you’re looking for as my initial pass is 1000 words and that feels far too long. Go for it….sounds great! Thank you. My name is Kevin, I am a recent follower, and I would definitely like to contribute a guest blog this holiday season. I have been in HR and related fields for most of my career, so I would definitely have a lot to contribute. Hi Kevin – welcome! That would certainly be great…the more the merrier and I would love to hear your reflections. I have written something, Alison, just let me know where to send it!